Miniature Schnauzers etc. : Tutta X Timmy babies are here! Tutta X Timmy babies are here! 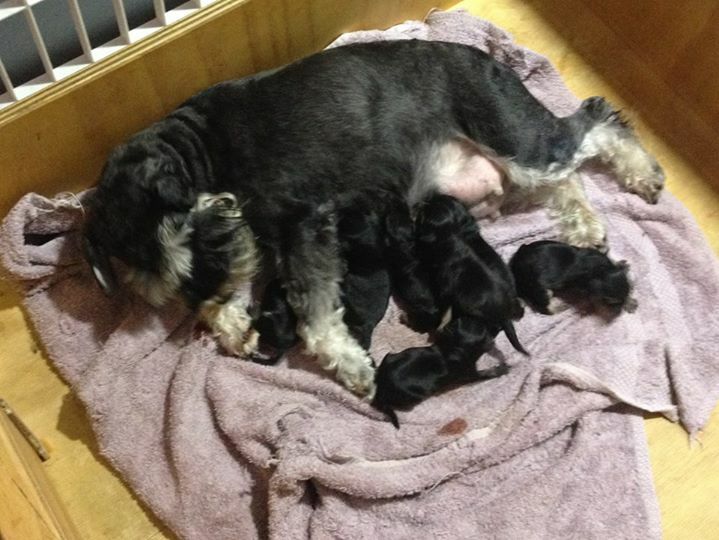 On July 10 (3 AM) our beautiful Tutta presented us with her puppies. 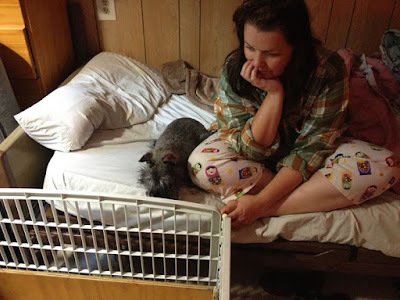 participants (myself, Irina, and my bedroom companions - dogs and ducks). Anyway... just like I mentioned - Tutta started her "puppy-performance at 3 AM. Sort of early for my preference, but dogs never ask. Above - myself and Lusha watching over Tutta in her nest. 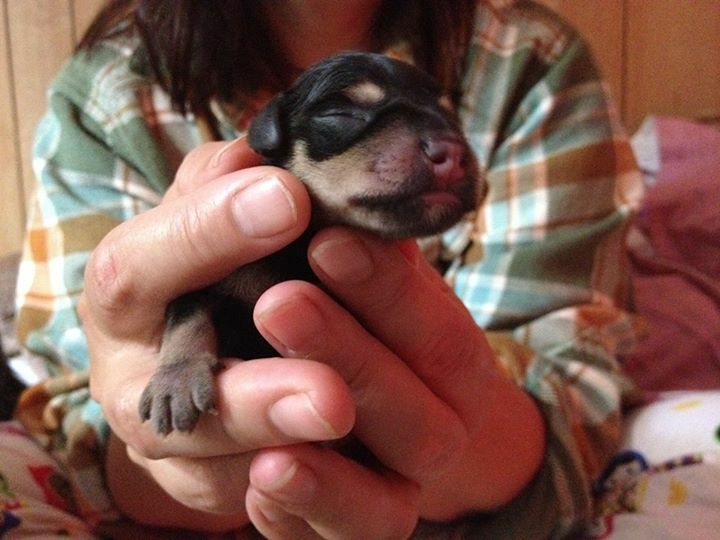 To our total disbelieve we ended up having 7 wonderful puppies. Momma Tutta didn't look that big!.. More pictures and updates to be posted soon. "Show must go on!... Again!"